And you can’t believe it! You’re finally marrying the girl of your dreams. Want some ideas on how to propose to your girlfriend? Read this. Just as you’ve planned the proposal to be perfect and unforgettable, you’ll surely want to make your wedding day extra, extra special. After all, it’s a once-in-a-lifetime moment for you and your one true love. From the wedding venue to her wedding dress, from your suit to your shoes, from cake to bouquet—everything should match your style and personalities as a couple. Of course, wedding bands are included in those well-thought wedding details. But how can couples pick the best one? You’ll need more time visiting ring shops as well as comparing prices, styles, material, and details. Allot at least two to three months to shop around. Be sure to agree on a budget and stick to it. If you prefer a custom ring, take note that it takes more time to create them, especially if you wish to include special details such as engraved letters and designs. Narrowing down your choices will also help you determine the best ring you’ll love wearing for the rest of your life. Ask: Do you prefer a simple but elegant ring or would you love one with some sparkly gemstones? Which metal should it be made of? Some couples rush buying their wedding bands just for the reason they fell in love with how gorgeous they looked. But here’s the thing, love birds: Don’t forget to look on the practical side as well. Yes, it’s true that we should choose something beautiful—for your fiancé that would mean some sparkly gemstones on it. However, if it’s something that’s not suitable for your lifestyle, it may not stand the test of time. If you’re both super physically active, joining fun runs and surfing the ocean waves, most likely, you’d choose something comfortable, simple, light, and extra durable that perfectly fits your ring finger. Love gardening? 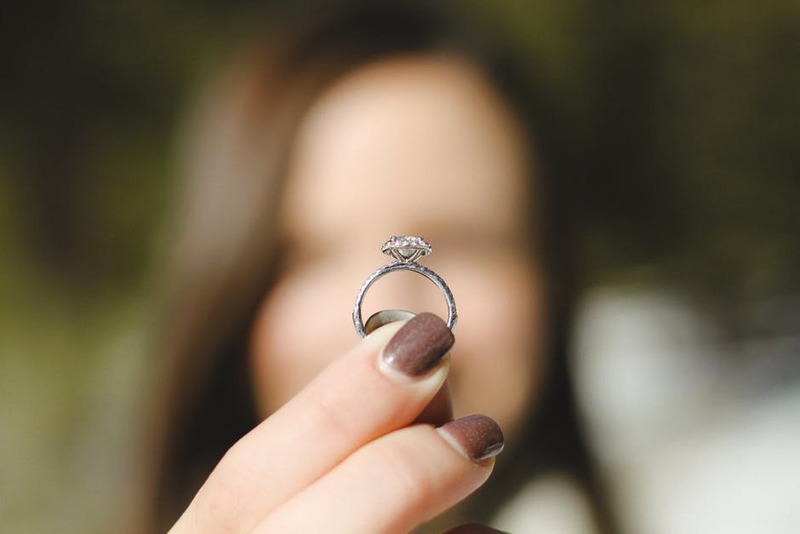 You wouldn’t choose a ring that takes up much time to clean and maintain, especially if you’re too busy and too lazy to do that on a constant basis. The site https://snubniprstenypro2.cz can help you find the right wedding ring that fits your lifestyle as a couple. For married couples, a wedding ring is something that feels like an extension of your finger—you wear it every single day of your life. Thus, it must be something durable. It should survive the daily wear and tear it will go through for the next couple of years. When shopping around, look for two marks inside the band which are the manufacturer’s trademark and the quality mark. Getting excited over your wedding? Start doing your research about your perfect wedding ring now. Tags: buying a ring, diamond ring, diamond rings, engaged, Engagement Ring, Engagement Rings, finding a wedding ring, marrying the girl of your dreams, personality, ring finger, ring shops, significant other, wedding bands, wedding engagement, Wedding Planning, wedding research, Wedding Ring, wedding ring shopping, wedding ring shops, Wedding rings, Wedding Rings: Picking the Perfect One for You and Your S.O.